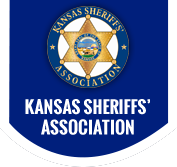 Position Summary The Jewell County Sheriff's Office is looking for a dedicated individual to fill the position as a Deputy Sheriff. The Jewell County Sheriff's Office provides professional law enforcement services to the citizens of Jewell County. Benefits All equipment is provided to include a take home patrol vehicle. Jewell County offers family health insurance, paid sick time, vacation, and paid holidays. Starting salary negotiable depending on experience. Deputies also have guaranteed overtime each pay period. -Must possess at least a high school diploma or GED. -Must be a resident of Jewell County. Apply Stop in at 307 N. Commercial, Mankato, KS 66956 or call 785-378-3194 or e-mail schinke308@yahoo.com. Private message us on Facebook @Jewell County Sheriff's Office.